A very long title, for a very simple salad! 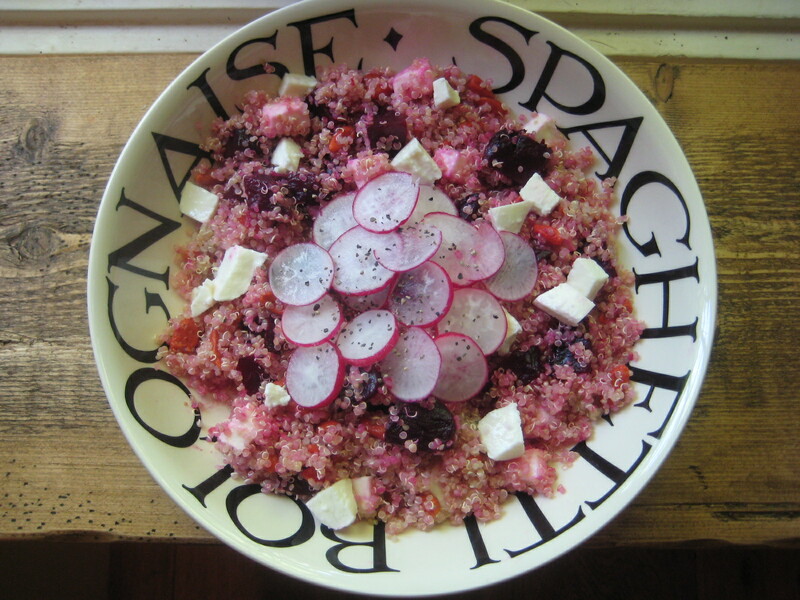 A few weeks ago,I went to London to see Miss Saigon with a friend - we had lunch out & on the menu was " Beetroot & goji berry quinoa salad". I didn't end up ordering that, but it sounded so nice, it inspired me to get in the kitchen & make my own version & here it is - It's my current favourite lunch. 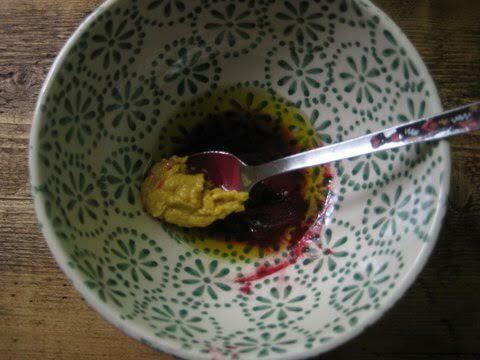 2 teaspoons raspberry powder. ( I used zingology). you could also use Beet powder, or just leave that ingredient out. 1. This may sound a bit random but I placed the goji berries in a coffee mug & poured some boiling water on them (just enough to cover). This makes them soft, juicy & full of flavour rather than chewing on bits of old leather - but maybe that's just me - feel free to keep them in their dried state! if you want to do this, leave for an hour or so. 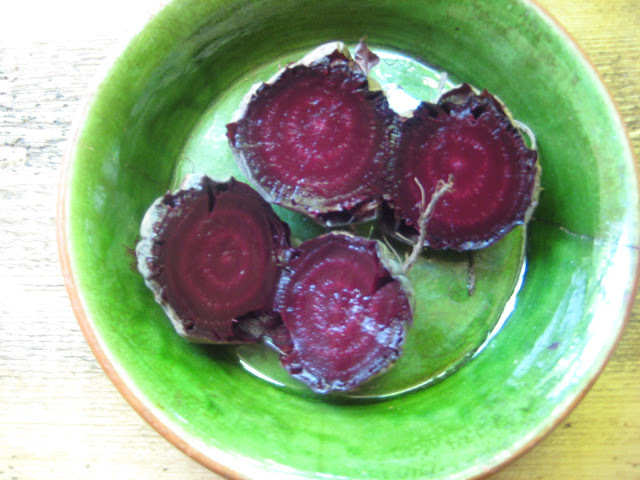 2 for the Beets I love them baked. just pop into the oven (180c) for a couple of hours until the skin is starting to crinkle up & they are soft if you poke a knife in the middle. Leave to cool, then peel off the skins & chop them up. 3 Cook the quinoa as per instructions on the packet. When I remember, I usually soak my quinoa for a few hours, then drain & cook - this way it only takes a few minutes to do, but it will take longer if you haven't soaked it. - as I say - follow the instructions on the pack. - then cover & leave to cool. 4 finely slice some radishes, and cut up a ball of mozerella (or feta if you prefer) into cubes. 5. 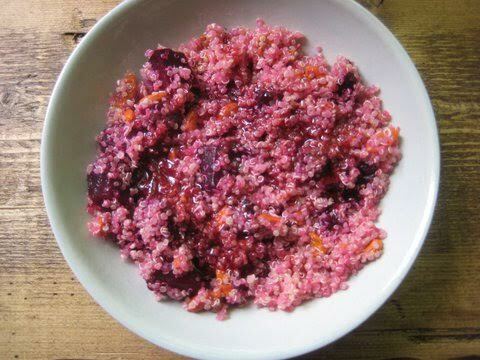 I like to mix the beets & quinoa up together cos it makes everything pink - beets stain everything pink anyway, so you might as well make it look like you did it on purpose! 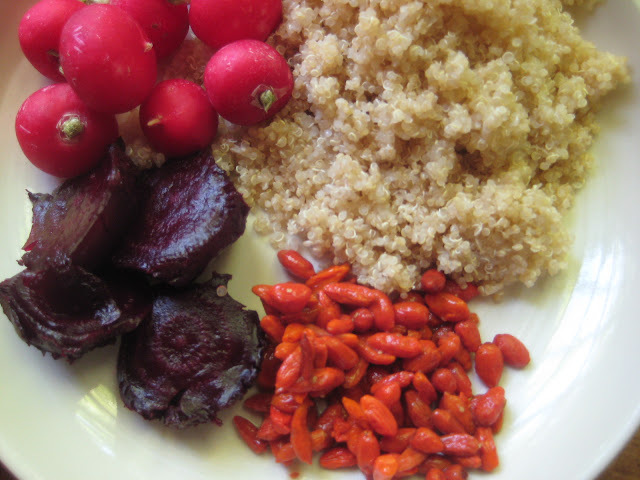 6 if you soaked your goji berries, remove them from their water and add to the quinoa. Add the mozerella & radishes. 7 mix up the dressing & pour over the salad.